Welcome to our state of the art facility! The Bowlus' main stage has a total seating capacity of 742. There is seating for 461 in the orchestra level with an additional 281 seats in the balcony. The stage features upgraded sound and lighting systems and all new stage curtains, enhancing every performance. We take great pride in our continental-style seating with ample leg room and space to walk between the rows. The Bowlus Main Stage is used to host many community and school performances and may be rented by organizations or businesses to host other performance events. The rate varies depending on the amount of time needed on-stage for set-up and rehearsals, the number of performances and the level of technical support required. Discounts are available for 501(c)3 non-for-profit organizations. Please contact the Bowlus Executive Director, Daniel Kays, for all booking inquires and to receive a quote. Daniel may be reached at (620) 365-4775 or e-mail daniel.kays@bowluscenter.org. The Dale P. Creitz Recital Hall is located on the lower level in the building's east wing. This versatile space is used to host concerts, guest lecturers and various meetings. The adjacent "caterer's kitchen" makes this an ideal space for luncheon/dinner events. The recital hall seats 120 guests for concerts or lectures and can comfortably accommodate up to 80 guests seated at tables. Both round and rectangular tables are available, providing a wide range of set-up options. Available amenities include a stand microphone, podium, presentation screen and 2- 70" HDMI-capable televisions to enhance your presentation. The stage is also home to 2 Steinway grand pianos. Tablecloths are available for an additional charge. Ask about a discounted rate for 501(c) 3 not-for-profit organizations. The Mary L. Martin Gallery is also located in the building's east wing. 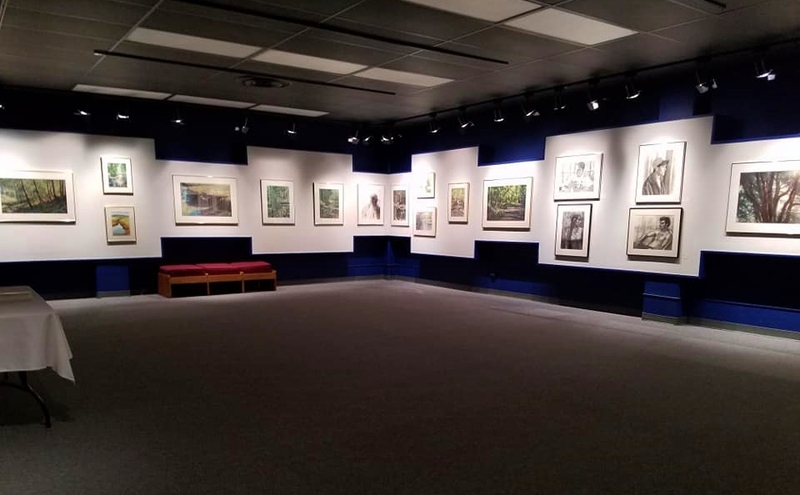 The gallery is used to host various art exhibits throughout the year and is also the home to to a twice-weekly yoga class offered through the City of Iola Recreation Department. Our "small" rehearsal hall is located on the lower level in the east wing adjacent to the Bowlus offices and art gallery. One Steinway grand piano is housed in this space. Our "large" rehearsal hall is located on the upper level in the east wing adjacent to the stage. This large room is used as a rehearsal space by both the Iola Area Symphony Orchestra and the Iola Municipal Band, and also for meeting and dinner events. This space is often used as a green room for large performance groups due to it's close proximity to the stage.